F i Anne BLAND was born on 25 Feb 1711. She died on 18 Feb 1771. Col. Benjamin HILL was born in 1697 in , Bertie, North Carolina. He died on 20 Jun 1758 in , Bertie, North Carolina. Benjamin married Sarah LATHAM. Sarah LATHAM was born in 1697 in , , Virginia. Sarah married Col. Benjamin HILL. F i Mary HILL was born in 1725. She died in 1753. F ii Sarah HILL was born in 1728. F iii Priscilla HILL was born in 1730. She died on 8 Oct 1780. Alexander MC CULLOCK. Alexander married Sarah HILL. Sarah HILL [Parents] was born in 1728 in , , North Carolina. Sarah married Alexander MC CULLOCK. Joseph MERTFORD was born in 1730. Joseph married Priscilla HILL. Priscilla HILL [Parents] was born in 1730 in Bertie, North Carolina. She died on 8 Oct 1780 in Halifax, Halifax, North Carolina. Priscilla married Joseph MERTFORD. Hon. John CAMPBELL. John married Mary HILL. Mary HILL [Parents] was born in 1725 in , Bertie, North Carolina. She died in 1753 in , , North Carolina. Mary married Hon. John CAMPBELL. John Baptist ASHE [Parents] was born in 1748. He died on 27 Nov 1802. John married Mary Elizabeth MONTFORT. Mary Elizabeth MONTFORT [Parents] was born on 25 Mar 1748 in Halifax, Northamton, North Carolina. She died on 10 Aug 1826 in Plantation, Raleigh, Wake, North Carolina. She was buried in Unmarked Grave in Raleigh, Wake, North Carolina. Mary married John Baptist ASHE. Gov. Samuel ASHE was born on 24 Mar 1725. He died on 22 Jan 1813. Samuel married Elizabeth JONES. Elizabeth JONES was born in 1725. She died in 1815. Elizabeth married Gov. Samuel ASHE. M i John Baptist ASHE was born in 1748. He died on 27 Nov 1802. M ii Samuel ASHE "Jr" was born on 1 Feb 1763. He died on 3 Nov 1835. Cincinnatus ASHE was born in 1765. She died in 1781. F iv Thomas Jones ASHE was born on 5 Mar 1770. She died on 8 Mar 1795. Esq Joseph Blount LITTLEJOHN "I" was born on 4 Oct 1776 in Edenton, Chowan, North Carolina. He died on 2 Jan 1852 in , Fayette, Tennessee. Joseph married Anne Maria JONES on 17 May 1804 in , Halifax, North Carolina. Anne Maria JONES [Parents] was born on 10 Oct 1779 in The Grove, Halifax, Halifax, North Carolina. She died on 17 Sep 1840 in , Fayette, Tennessee. Anne married Esq Joseph Blount LITTLEJOHN "I" on 17 May 1804 in , Halifax, North Carolina. F i Mary Elizabeth LITTLEJOHN was born on 2 Feb 1805. She died on 26 Jun 1870. F ii Sarah Blount "Sally" LITTLEJOHN was born on 11 Feb 1807. She died on 28 Jul 1880. Elizabeth Montfort LITTLEJOHN was born on 1 Mar 1809 in , Halifax, North Carolina. She died in Died Young in , Halifax, North Carolina. M iv Rev. William LITTLEJOHN was born on 24 Apr 1811. He died on 5 May 1889. Martha Ann LITTLEJOHN was born on 15 Nov 1813 in , , North Carolina. She died in Died Young in , , North Carolina. M vi Gen. Joseph Blount LITTLEJOHN "II" was born on 1 Aug 1816. He died on 16 Jul 1883. M vii Wiley Jones LITTLEJOHN "Sr" was born on 30 Dec 1818. He died on 23 Sep 1873. Gov. Hutchins Gordon BURTON "Sr" [Parents] was born on 24 Apr 1782 in , Mecklenberg, Virginia. He died on 21 Apr 1836 in , Inedell, North Carolina. Hutchins married Sarah Welsh "Sallie" JONES on 12 Dec 1812 in , Halifax, North Carolina. Sarah Welsh "Sallie" JONES [Parents] was born on 19 Oct 1791 in The Grove, Halifax, Halifax, North Carolina. She died on 24 Jan 1872 in The Grove, Halifax, Halifax, North Carolina. Sarah married Gov. 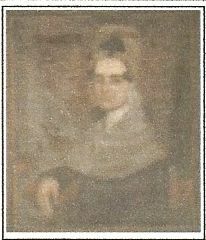 Hutchins Gordon BURTON "Sr" on 12 Dec 1812 in , Halifax, North Carolina. M i Robert Allen BURTON was born on 20 Nov 1814. He died on 5 Jan 1840. Hutchins Gordon BURTON "Jr" was born on 16 Apr 1817 in , Halifax, North Carolina. He died on 16 Jun 1822 in , Halifax, North Carolina. Willie Jones BURTON was born on 22 Jan 1820 in , Halifax, North Carolina. He died on 16 Sep 1824 in , Halifax, North Carolina. F iv Mary Elizabeth Stith BURTON was born on 22 May 1822. She died on 18 Mar 1909. F v Martha Ann BURTON was born on 25 Mar 1825. She died on 11 Jun 1888. John Wayles BURTON was born on 18 Sep 1826 in Halifax, Halifax, North Carolina. He died on 17 Oct 1845. F vii Sarah Edwards Blount "Sallie" BURTON was born on 18 Dec 1828. She died on 27 Aug 1888. Thomas Burk BURTON was born on 29 Jun 1831 in Halifax, Halifax, North Carolina. He died on 1 Sep 1861 in , , Texas. Hon. John Wayles "Jack" EPPES [Parents] was born on 7 Apr 1773 in Petersburg, Henrico, Virginia. He died on 20 Sep 1823 in Millbrook, Buckingham, Virginia. He was buried in Eppes Family Cemetery, Millbrook, Buckingham, Virginia. John married Martha Burke "Patsy" JONES on 15 Apr 1809. Martha Burke "Patsy" JONES [Parents] was born on 14 Feb 1790 in The Grove, Halifax, Halifax, North Carolina. She died on 6 Dec 1863 in Millbrook, Buckingham, Virginia. Martha married Hon. John Wayles "Jack" EPPES on 15 Apr 1809. F i Mary Montfort EPPES was born on 14 Feb 1810. She died in Dec 1840. M ii Dr. Wiley Jones “Willie” EPPES was born on 17 Jan 1811. He died on 22 Mar 1879. Caroline Matilda Montfort EPPES was born on 22 Jan 1816. She died on 1 Jun 1836. F vi Sarah Ann "Sally" EPPES was born on 17 Apr 1820. She died on 2 Feb 1895. Robert A. EPPES was born in 1822 in , , Virginia.